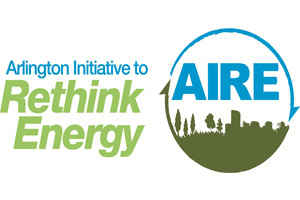 The Arlington Initiative to Rethink Energy (AIRE) supports Arlington residents, businesses and government in working towards smart energy use. AIRE has an ongoing list of projects that focus on improvements to County-owned resources like buildings, vehicles and street lights. Additionally, the Green Building Program supports the design, construction and operation of high-performance buildings that reduce environmental impacts in our community. Learn more about AIRE and the Green Building programs. The BikeArlington Program makes physical enhancements to bicycle infrastructure, including trails and streets. Program projects include new construction of multiuse trails, trail renovations and safety improvements, expansion of bike lanes and other on-street facilities, installation of bike parking, and bike networking wayfinding. 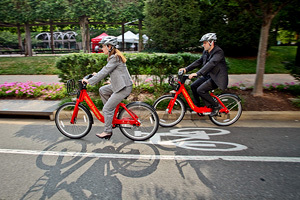 Learn more about the BikeArlington Program. 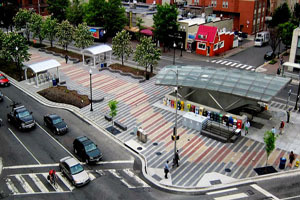 The Commercial Revitalization Program provides for targeted commercial revitalization within specific commercial areas throughout Arlington. A strategic geographical focus helps maximize our capital investments and enhance our image. This program incorporates the previous Streetscaping, Utility Undergrounding and Business Conservation Program. Learn more about the Commercial Revitalization Program. The Community Development Block Grant (CDBG) Program provides federal funding for a wide range of affordable housing and eligible human services programs to benefit low- and moderate-income persons. 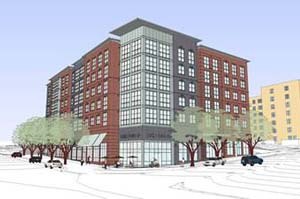 CDBG funds contribute to Arlington’s Community Development Fund, which issues a competitive annual grant application process and is combined with Community Services Block Grant and Affordable Housing Investment Funds. The Complete Streets Program focuses on multimodal projects integrated with adjacent community uses. Program projects include intersection or interchange improvements, new street links, major corridor reconstruction and neighborhood street improvements. Learn more about the Complete Streets Program. 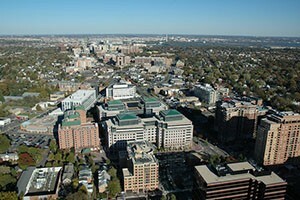 The Historic Preservation Program recognizes and protects locally and nationally designated sites located in Arlington. The program guides development through the Historic Preservation Master Plan and the Historical Affairs and Landmark Review Board. Learn more about the Historic Preservation Program. 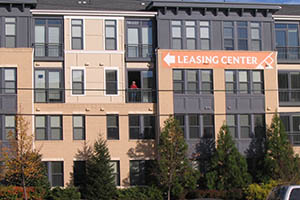 Housing programs focus on developing, supporting and maintaining Arlington’s world-class urban communities. The County works to provide housing services and strategically plan for affordable housing, housing development and community development. 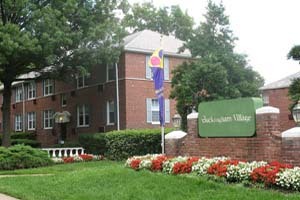 Learn more about the Housing Program. The Neighborhood Conservation Program provides funding for a variety of capital improvement projects including installation of sidewalks, curbs and gutters, street lights, park improvements, neighborhood art, and beautification. Learn more about the Neighborhood Conservation Program. County staff and leadership have embraced an ambitious initiative to make it easier to do business with Arlington County Government. 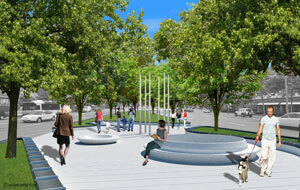 Arlington's Public Art Program, administered by Arlington Economic Development, develops, launches and installs public art projects commissioned by the County to be integrated into various capital improvement projects, by developers as part of the site plan process or initiated by communities. 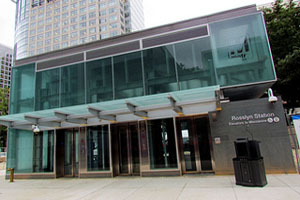 Learn more about the Public Art Program. 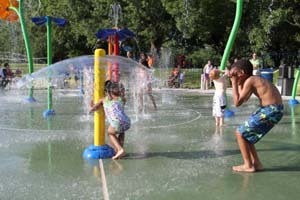 The Stormwater Management Program controls stormwater runoff. Projects include maintaining and replacing stormwater infrastructure, stream restoration, adding stormwater treatment facilities like green streets and watershed retrofits. 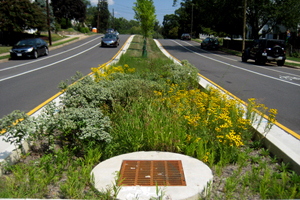 Learn more about Stormwater Management and the Green Streets programs. The Transit Program improves transit facilities, reduces costs, increases utilization of Metrobus and rail transit services in the County, and assists with the integration of existing transit facilities into surrounding communities. Learn more about the Transit Program. 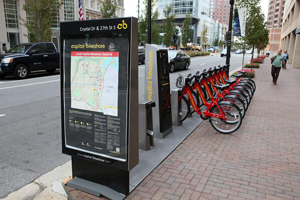 The Vehicle Decal Fee Program funds four project areas: complete Streets, technology enhancements, regulatory and directional signage, and Capital Bikeshare installations. Learn more about the Vehicle Decal Fee Program. 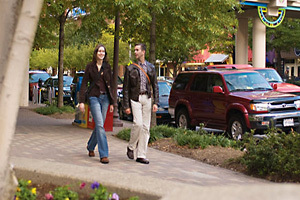 The WalkArlington Program makes physical enhancements to sidewalk and street infrastructure. Program projects include arterial street sidewalk upgrades, transit-access improvements, safe routes to schools enhancements, and stand-alone safety and accessibility upgrades. The program primarily focuses on arterial streets and commercial areas, which are generally not covered by the Neighborhood Conservation Program. Learn more about the WalkArlington Program. The Water and Sewer Infrastructure Program provides and maintains water delivery, sanitary sewer collection, and wastewater treatment systems, and that the Water Pollution Control Plant meets model discharge standards. 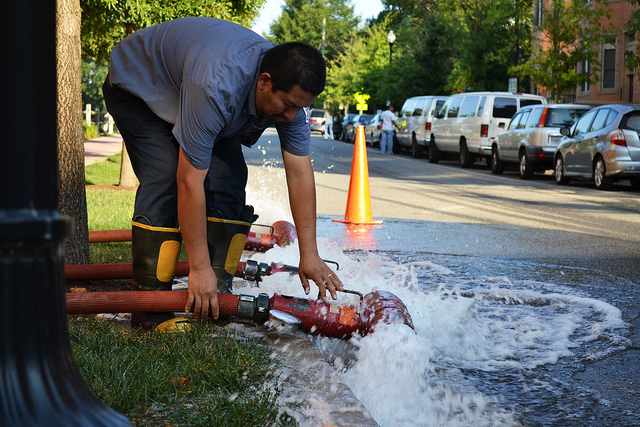 Learn more about the Water and Sewer Infrastructure Program.